The Blue Water Bridge is the gateway from Port Huron to sand-filled adventures in Ontario’s Southwest without the long drive. From beaches meeting global standards for water quality and environmentalism to amazing on the water adventures and breathtaking sunsets, summer on the shores of Lake Huron & Lake St. Clair is one that you’ll always remember. 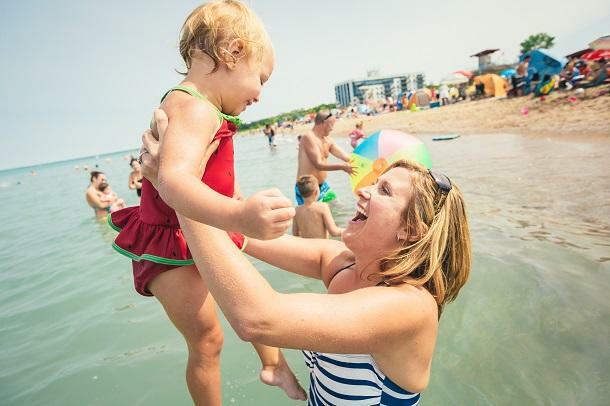 Start your splashing good time at these 5 beaches just a short drive from the Blue Water Bridge and you’ll wonder why it took you so long to discover the region referred to by locals as Ontario’s Blue Coast. Found in the heart of Sarnia, Canatara Park is definitely a stunning way to start your beach adventures in the region. 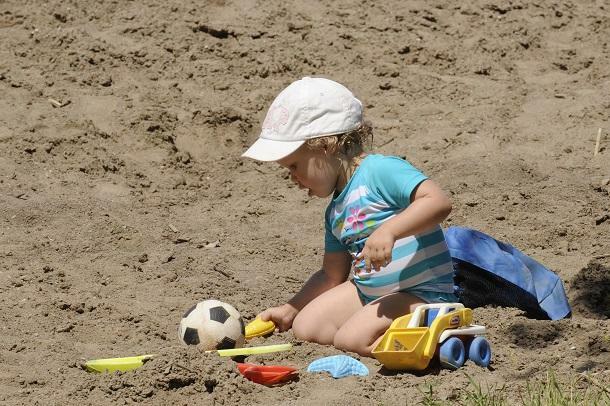 This sandy beach stretches nearly a kilometer along the shores of Lake Huron near the mouth of the St. Clair River and is Blue Flag certified. The beach meets strict international standards for water quality, safety, and environmental protection to earn its Blue Flag status. Additionally, Canatara has accessibility mats on the sand for wheelchair access. Beyond the water, the surrounding 200 acres of park boasts trails, picnic areas, playgrounds, an animal farm, and even a BMX track! For those looking for an adrenaline rush, a visit to nearby cable wakeboarding provider Boarder Pass is a must! 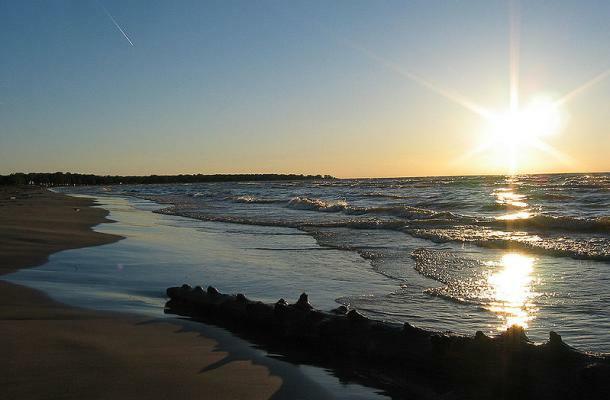 If you are looking for a quiet beach, then Ipperwash is for you. Located on the shores of Lake Huron, Ipperwash Beach is one of the longest freshwater beaches in Ontario. The shallow waters and less populated area makes this the ideal waterfront escape for families looking to relax in the sand. The bounty of lake also makes these waters a fantastic destination for fishing and boating. Offering the most unique among natural scenery in Ontario, Pinery Provincial Park boasts extremely rare and fragile Oak Savanna and Coastal Dune ecosystems with extraordinary biodiversity. Being an Ontario Park, there are extensive interpretive programs held by park staff that will teach you about the diversity of the park. Want to get active with the whole family? You can take a hike or bike along the trails, rent canoes and kayaks to paddle your way through the peaceful nature. This is all before you make it to the beach. 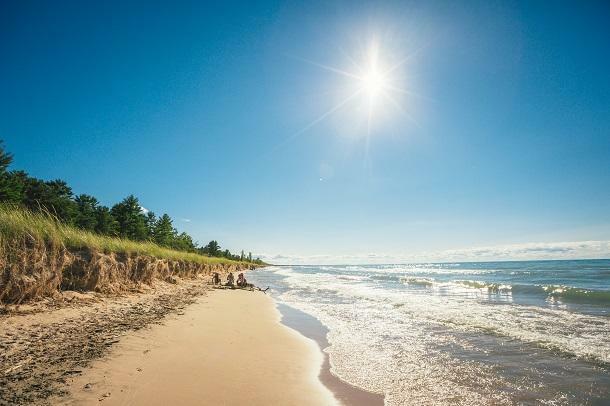 Once you hit the beach, you’ll be greeted with 10 kilometers of sandy beach on the shores of Lake Huron. To top it all off, National Geographic has described this area as having one of the “Top Ten Best Sunsets” in the world! The best-known beach in the region, Grand Bend has a reputation as one of Canada’s best beach towns. With a street lined with shops and eateries leading all the way to the beach, there’s so much to do for any visitor to Grand Bend. Once you get to the beach, you’ll find a splash pad, playground equipment, and ample facilities making it perfect for the family and kids. If you’re into watersports, you’ll find no shortage in Grand Bend. Head into the skies with Grand Bend Parasail & Grand Bend Flyboard, or rent jet skis and boats from Xtreme Watersports. Not only that, the beach and nearby marina are both Blue Flag certified too! 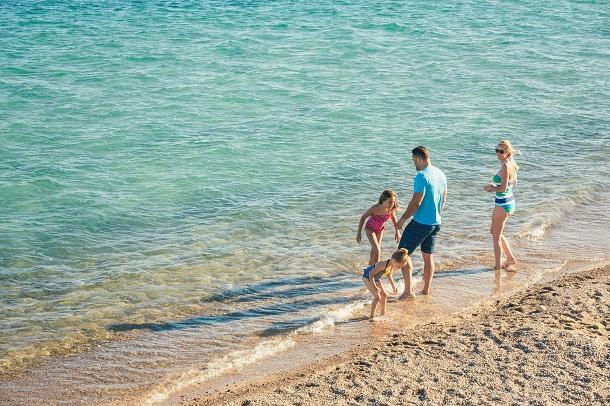 Known for its fabulous fishing, boating, and camping, Mitchell’s Bay is also home to a beautiful and quiet sandy beach perfect for the whole family. Kids can enjoy a playground right on the beach or take a hike on the Lakeshore Trail to enjoy unique vistas and view wildlife. If you want to stay on the water with your fishing poles, Mitchell&apos;s Bay offers some of the best smallmouth Bass and Pickerel fishing to be found anywhere in North America! Visit the Mitchell’s Bay Marine Park for all of your boating needs before you head out on the lake or if you want some local advice for best fishing spots, try Mitchell’s Bay Charters. 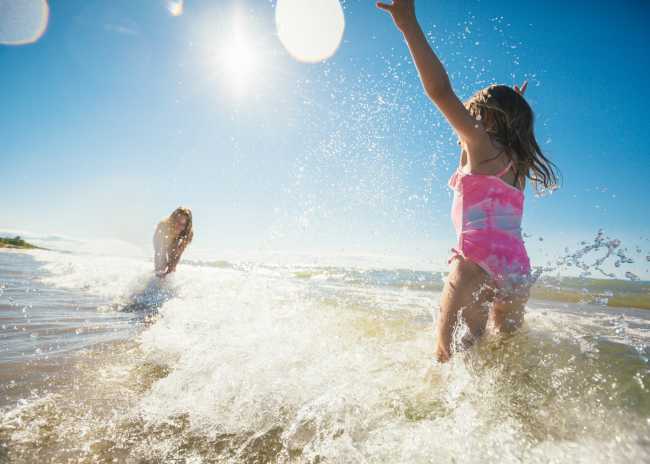 Now that we’ve pointed you towards these fun in the sun destinations, be sure to check our Offers page for potential deals and packages you can take advantage of in the area.